Russian warplanes have bombed a training camp in Syria where foreign instructors trained potential suicide bombers, the Russian defense ministry said. 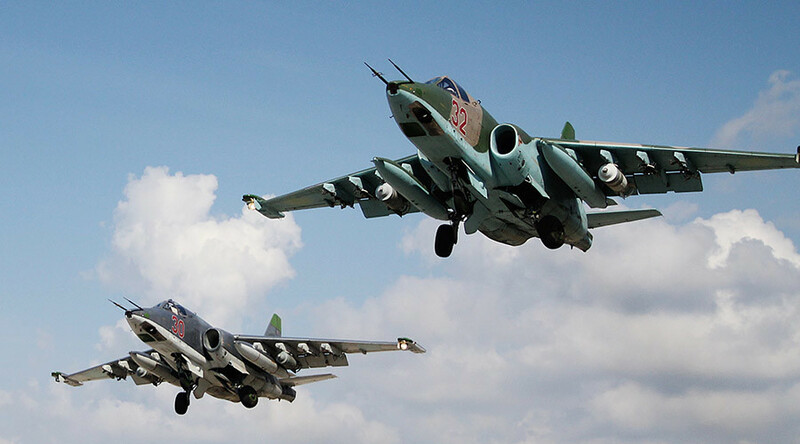 It was one of 49 terrorist targets hit by the Russian Air Forces over the day. “Not far from Salma in Latakia province, a Su-24M bomber delivered a strike at a building, which was used as a terrorist training ground. According to intelligence, there were ISIL foreign instructors, who were training people, including suicide bombers, for guerrilla warfare in areas liberated by the Syrian army,” ministry spokesman Maj. Gen. Igor Konashenkov said. Russian warplanes conducted 36 combat sorties on Saturday and attacked 49 militant targets in Syria, including command points, weapons workshops, firing positions, depots and fortified bunkers, Konashenkov added. The general said that the terrorist group Islamic State (IS, formerly known as ISIS/ISIL), which suffered serious damage from Russian bombings, is working to rebuild its infrastructure. “The militants' new tactics is to spread their supply and command facilities, but it does not work. All their new infrastructure objects are being identified and destroyed,” he said. Konashenkov said the civilian population in the areas under terrorist group’s control are aiding the Russian airstrikes by providing intelligence about IS to the Syrian government. “This information is double-checked by our aviation group with various technical means of reconnaissance. Following this, a decision is made on which objects we should target,” he said. Russia is providing air support to Syrian government troops, which are currently undertaking an offensive to retake villages and cities captured by terrorist groups. Moscow says its goal is to stabilize the situation in the country enough to allow political dialogue between Damascus and moderate opposition to start.